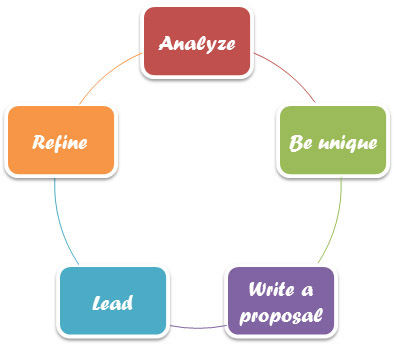 Every business proposal is not just a document, it is a process. Think about this for a second. Most smart companies and your fellow competitors employ capture planning technique to win more and present their products and services better. However, what is it? 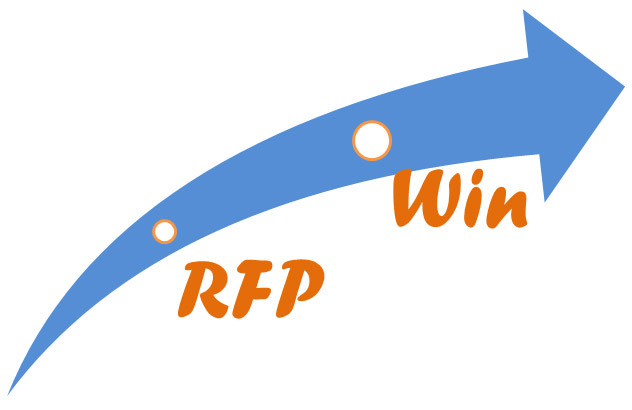 Capture planning is a term that encompasses all activities that happen between the initial request-for-proposal (RFP), and the acceptance of the proposal by the prospective customer. Capture planning is essential to creating winning business proposals. I won’t lie and tell you that it’s quick to build, quite on the contrary, efficient capture planning requires careful preparation and execution to succeed. If you are dissatisfied with the results you have seen with proposals later, there has truly never been a better time than right now to reign in the process of capture planning, in order to start creating business proposals that effectively grow your business. The most important wins in business hinge on great capture planning. The process of nurturing a business opportunity from start to finish is complex, but like every facet of modern commerce, capture planning can be conquered by understanding a few key concepts. Let’s have a look at five things you should be doing with capture planning in order to win bids, every time. In order to really connect with your prospects, you need to understand them – and your competition – on a deeper level. Since those business professionals who will receive your proposal are actively engaged in leadership roles and focused on their own agendas, it is important for you to factor as many relevant details about them as possible into your capture planning efforts. This means defining the needs of your potential clients/customers early in the capture planning process, through informed analysis. It amounts to sizing up not only the prospect, but your own competition as well. By clearly understanding what competitors have to offer the prospective client, you can better position your company to stand out. Careful analysis empowers you with information that will prove valuable when formulating your proposal. Once you’ve ascertained where your organization stands in relation to your prospective customers and your competitors, you will want to realistically gauge the extent to which your company can gain a competitive edge. This part of capture planning involves assessing your organization’s internal abilities and track record. The information gained from this internal analysis will prove valuable in establishing accurate pricing in order to win business. It is important to frame all aspects of the internal analysis alongside the external analysis – the two are equally important in capture planning. You’ll want to keenly watch for opportunities where your experience and your prospect’s needs align, so that those points of mutual benefit can translate into your proposal. For those elements of common ground to work in your proposal, they must first be established, and that is the ideal outcome of internal analysis during capture planning. The analyses you conduct in capture planning should leave you with a list of defining traits that will make your proposal unique – and irresistible. The remainder of the capture planning process can then be shaped around these discriminating factors. The discriminators will serve as a guide to keep you, as well as the proposal itself, on track. By now, you are probably beginning to sense that there is much more to capture planning than merely working out a well-written proposal. While the language of the actual proposal is very important, it is ultimately just one tool of capture planning among many others. Accordingly, the whole process should be managed from the earliest prospect contact to the time when the deal is sealed. Simply put, every prospect is a unique opportunity that should be thoroughly researched, evaluated, and understood before the ultimate solicitation takes place. No magic combination of words will be enough to win-over discerning clients. The proposals you place before them need to speak to their realities, their needs. That knowledge is only gained through the analyses mentioned above, and will only work within the confines of the overall capture planning strategy. 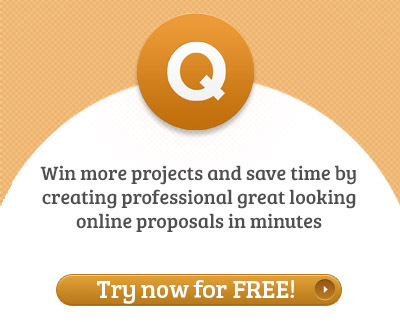 A great, well-written proposal is a must, but it is not a standalone breadwinner by any means. At the point in the capture planning when the writing does begin, the proposal itself should be clear in its purpose: to result in a winning bid. For this reason, all elements of proposal copy should adhere to the concise expectations of modern, digital-age sales copywriting. Less is more, when it comes to selling with words, and the focus should be squarely fixed on the prospect – and only secondarily focused on your own organization. Your business is only valid to your prospective customers to the extent that it fits in with their goals or needs. The knowledge gained in the external analysis, as well as the discriminators from earlier in capture planning process, must translate through the actual proposal. No single word in your proposal can exist without purpose; all words should be tailor-made to win the bid. Simple, plain-spoken language is preferable to complex or superfluous wording in sales material, which is just what your proposal actually is. Don’t write in an overtly advertorial way. Excessive platitudes and unfounded claims are best avoided. Facts, figures, and testimonials have consistently shown to be parts of winning proposals, and should be preferred in your writing over blatant sales tactics. Share your successes through the writing, but avoid placing your own awesomeness at the heart of the proposal. Instead, show off how well your organization understands your prospect’s needs. Invest more word count into them than yourself. Ask for the sale. Don’t forget the offer, the all-important step in solidifying the business. Carefully construct the copy so that, at the end, there is an actionable buy-in step that your prospect will want to take. The close is the crucial piece of tendering proposals, and your capture planning should never lose sight of that fact. Capture planning means not only developing a strategy, but also seeing that strategy through all stages of execution. This is where management skills come into play. Someone must be in charge – often the Proposal Manager – and that person needs to be abreast of all aspects of the process. This means delegation must occur, with analysts, writers, and other team members working fluidly to create a stellar, winning proposal. The old saying “The only way to fail in business to go forth without a plan” is very true in relation to capture planning. The more thought and effort you place into the strategy, the more controlled the results will be. Every business proposal – even one that does not work – can still be of value to your organization. Review and evaluate data from your proposals to gain an insight into areas needing improvement. Likewise, the data from a winning proposal can help you assess what worked, so that those elements can be honed in on in future capture planning efforts. Beyond raw data, you can also seek feedback from the prospects themselves, or learn more from taking a close look at a winning competitor. In any case, the data generated from every proposal can prove valuable in the future. How do you treat your business proposals?